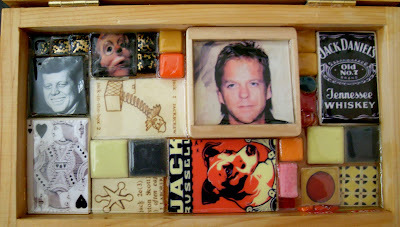 I am addicted to "24" and Jack Bauer...probably the inspiration for this jack-in-the-box. 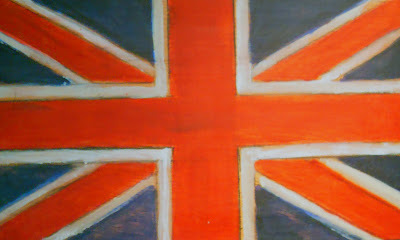 The Union Jack lid is painted in acrylic gouache and varnished in wax for the dull, slightly distressed finish. 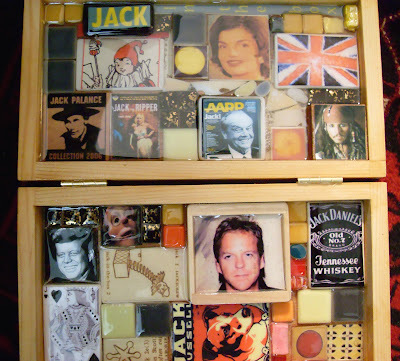 Inside are ceramic and glass tiles - most are hand-made - a small hand-painted jack bauer, dictionary pages decoupaged on bisque, broken china, a domino tile. 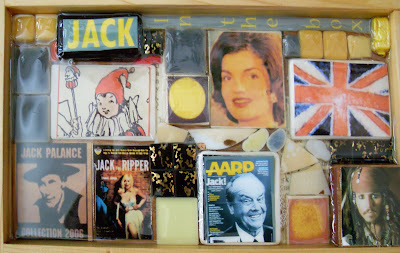 All preserved in resin.